We'll walk downstream. 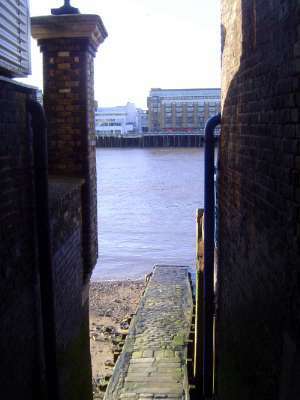 There's no promenade here, but occasional alleys and stairs lead to the water. We'll walk down there.